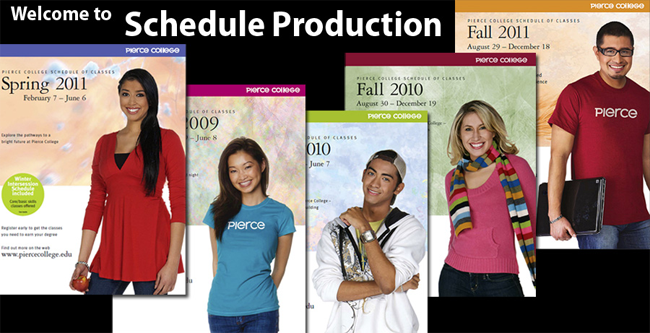 LA Pierce College’s yearly Catalog and semester Schedule of Classes provide detailed information on the more than 200 degree and certificate options offered on campus, as well as on the hundreds of courses offered every semester. Currently, the Schedule of Classes is published two times per year and is available in the College Bookstore at the College Services Building (CSB). The schedule is also available online. For information on campus events and other activities, check the link called Event and Student Information under the Students tab. Printed schedules are available at the CSB Bookstore. Browse the online versions of these documents to help identify your interests, requirements, and goals.